After a long time we are here to show you a little mobile trick, and i hope you will enjoy it. In this post we are showing that you can read someone message without removing the unread mark from the message, so he will not any suspect that someone's reading my messages before me because the message will be marked unread as a message received. As you know when a message received then there is a mark of unread on the message in the inbox so when you read this message then there will be no mark on it. But still if you want to have a fun and secretly read your friend's, colleage message then there is a trick for you so you can try it as it is very easy. First wait till he/she receive a new message and he/she is not with you. When he receive a message, just exit it "1 new message received". Exit it and goto Inbox and highlight the unread message and press option button->now press forward. Now you can see what is in the message that he/she received. But don't forward it to any number now, after reading the message move back again. 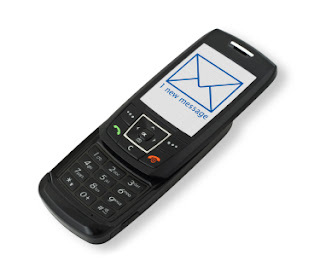 Now see SMS in the inbox so you will find it marked as unread. So this was a little mobile trick to see message without removing the unread mark. Isn't this so easy and tricky post? Note one thing, if you want to get our new post to your inbox then just subscribe to our email updates for free!! !